Value-based care is slowly encroaching on the traditional fee-for-service as a viable payment model. It has seen support from both government and health IT organizations as an effective way to treat patients. However, transitioning to value-based care can be a challenging task, especially for small practices. Small practices deal with a limited amount of resources and treat a proportionately large amount of patients to staff. They face increased financial and organizational burden when managing care. In light of this, the Healthcare Information and Management Systems Society (HIMSS) and the Department of Health and Human Services (HHS) have voiced their support in helping small practices overcome logistical hurdles, and prepare for the upcoming value-based Medicare program MACRA. Take a look at the efficacy of value-based care as a payment model, and how the HIMSS and HHS are focusing their attention on small practices. Is Value-based Care Good for Everyone? Value-based care has seen increased traction because it emphasizes the quality of care while reducing cost. For providers, value-based care leads to more efficient patient cycles. Patients receive treatments focused on their health and safety, leaving them happy, giving providers the opportunity to see more patients in the long run. An effective value-based care system takes measurements across the board, such as prescription adherence and percentage of readmission, to provide treatment that is cost-effective. Providers who enroll in value-based care with Accountable Care Organizations (ACOs) receive financial incentives for quality patient cycles. Massive programs like MACRA require dedicated time and resources to adequately handle. By HIMSS acknowledging the burdens small practices face, they recognize the challenge of practicing in sub-par conditions. Because participating in extensive government programs like MACRA can be a daunting task, the HHS is providing funding for small practices that are looking to learn more and train their staff on MACRA. As with any new implementation of technology, time and resources are required to get staff up to speed. By providing funding, practices who have never considered or may be on the fence about MACRA may be more encouraged to participate. Should You Participate in MACRA? It’s important to be aware of the challenges small practices face, regardless of MACRA participation. Deciding to sign up for MACRA depends on whether or not you qualify, and if you have the resources available to capitalize on the benefits. To go over the benefits, MACRA is split up into two parts: the Merit-based Incentive Payment System (MIPS) and Alternative Payment Models (APMs). With MIPS, a provider’s Medicare Part B payment plan will be negatively or positively adjusted, depending on their composite reporting score. By signing up for an APM, providers may receive rewards based on their payment model, such as lump-sum bonuses at the end of the year. Value-based care will continue to receive support because it emphasizes a treatment model based on the patient. Healthier patients mean happier patients, which is good for everyone. The HIMSS comment letter and the HHS funding are steps in adopting value-based healthcare for America. Support for value-based care has been industry-wide as well as political and continues to grow with MACRA. We look at MACRA as a step towards value-based healthcare, and we continue to transform our EHR into one that adapts to the change. PrognoCIS emphasizes efficiency and productivity in the workplace and strives to adapt to what’s best for the provider. For more information, here is our break down of MACRA and our analysis of fee-for-service vs. capitation. 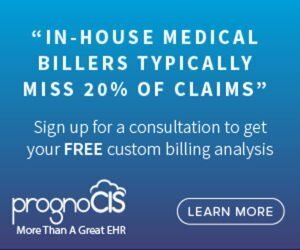 PrognoCIS currently supports Meaningful Use Attestation to its final Stage 3 and plans to continue support for MACRA and beyond.